This year I produced a Corriente X Star bull calf that was born on March 31, 2018. 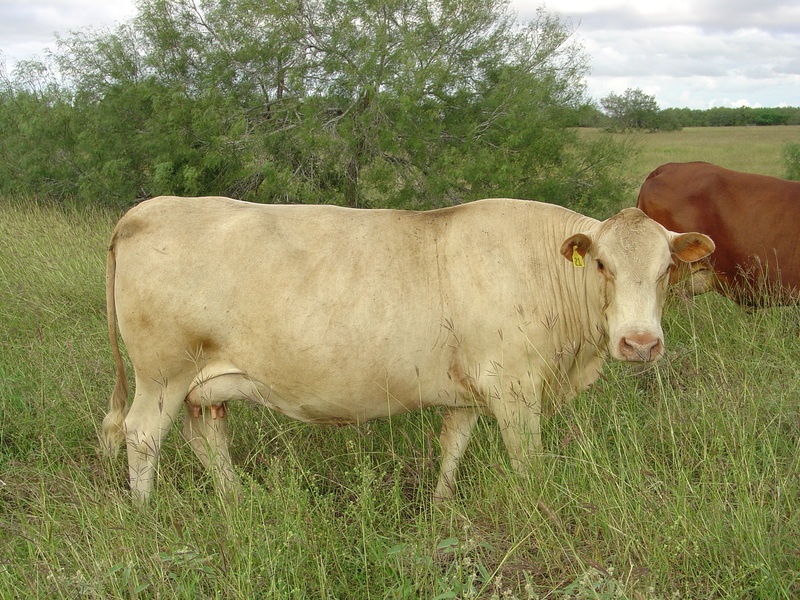 This is an excellent cross for using as a breeding bull where forage quality is a real issue. He has a good conformation, is deep-gutted and is very gentle. This bull is also out of one of my best cows – LR Dusty who is 11 and one tough cow. She has raised a good calf every years since she was a 2 year-old. Here are photos of the bull calf and of Dusty. This bull is already showing signs of high libido. He will be ready to sell in November. Contact me by email (slukefahr@gmail.edu) or phone (361-219-0382) if you have any questions. The best offer will be accepted.